A U.S. subsidiary of Manulife has launched a program to reward customers willing to hand over reams of information about their fitness habits with insurance discounts of up to 15 per cent. John Hancock, a wholly owned subsidiary of Manulife, Canada's largest insurance company, launched a program called Vitality last month that can let policy holders earn discounts of between five and 15 per cent by willingly handing over more levels of data about their overall health and fitness levels. The program is a departure from the practices of most insurers, who typically gauge health premiums based on a largely self-reported health questionnaire coupled with some rudimentary personal and family medical records. Under that system, once the risk level has been established, there typically isn't much a policy holder can do to make their premiums come down, short of going to another company. Hancock's program is the first in the U.S. to incorporate the explosion of data from fitness tracking devices such as the Apple Watch, Suunto or Fitbits to "prove" someone is living healthily and is therefore less likely to make a claim. The plan essentially allows anyone who signs up to accrue points that can be redeemed for discounts — and there are many ways to earn points. One aspect allows a person to earn points for every gym visit by swiping a card reader on the way in. 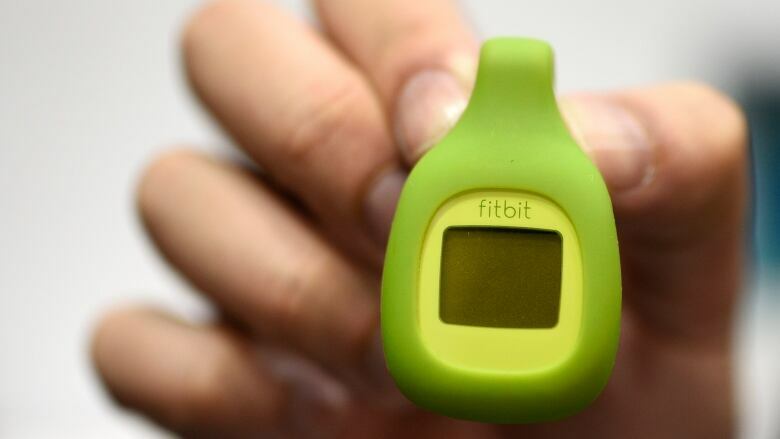 Data from fitness trackers can be monitored automatically. And completing big events like running a marathon or a triathlon will also accrue points. Getting regular checkups for things like BMI, cholesterol, glucose, blood pressure and mammograms can also earn points. So can getting a flu shot. Even self-declaring that you will sleep seven hours per night for two weeks can earn points, Barclays analyst John Aiken said in a recent research note. The new program could represent "a disruptive product in a largely moribund industry," Aiken said. "With our new life insurance solutions that reward policyholders for healthy living, John Hancock is changing the conversation around life insurance, making it more engaging and relevant for today's consumers." For now, there is no official plan to launch the service in Canada, but any success in the U.S. would likely go a long way toward convincing the parent company to expand it. "Although the program has been initially offered in the U.S., we believe that it is conceivable that success could initiate a similar launch in Canada," Aiken said. John Hancock is currently the only U.S. insurer to join the Vitality program, which launched in South Africa in 1997 and expanded to the U.K. in 2004 and China in 2012. The plan being pitched in the U.S. is much less robust than the South African offering, where in addition to cheaper insurance, users can use their Vitality points in ways similar to other loyalty programs, like getting 35 per cent off airline ticket prices with British Airways, Emirates or Qantas, Aiken notes. The move toward incorporating more data in gauging insurance risk is reminiscent of a similar move by Desjardins insurance recently. It launched Ajusto, an in-car system that monitors driver behaviour and promises to reward good behaviour such as not speeding with cheaper rates.